Our workshops are not for the faint hearted. 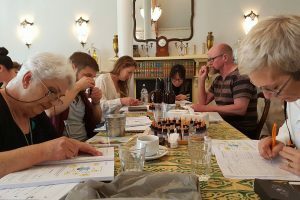 Short and very intensive, participants are likely to learn more in a 5 full days than they will learn working in a perfumery house for a year or more. Main subjects covered include: perfume creation, commercial perfumery, natural perfumery, aromatherapy, spa and lifestyle products. 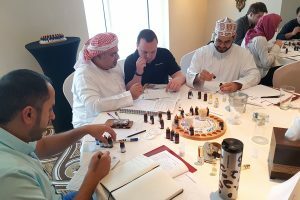 Includes theoretical training sessions followed by workshops with access to hundreds of commercially available perfumery materials including essential oils, absolutes, isolates, aroma chemicals and specialty key bases. Because these classes form a semi-private tuition format your personal objectives can be targeted very well during the training. An ideal option for those who prefer personal training with a live instructor. The size of the Workshops is strictly limited, ensuring that each students specific requirements can be catered for. Workshop: Putting it all together, creating for projects. 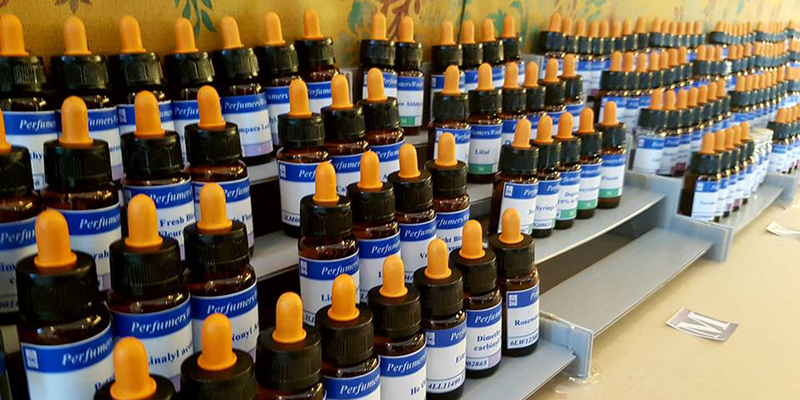 Includes theoretical training sessions Monday to Friday followed by workshops with access to hundreds of commercially available perfumery materials including essential oils, absolutes, isolates, aroma chemicals and specialty key bases. Because these classes form a semi-private tuition format your personal objectives can be targeted very well during the training. An ideal option for those who prefer personal training with a live instructor. The size of the Workshops is strictly limited, ensuring that each students specific requirements can be catered for. 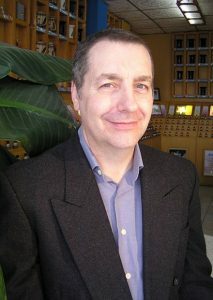 FREE: A registered version of the World’s best perfume creation software for Mac and Windows, exclusive to PerfumersWorld, included with the course.